Do you struggle planning family meals? Is your food bill over £50 a week? 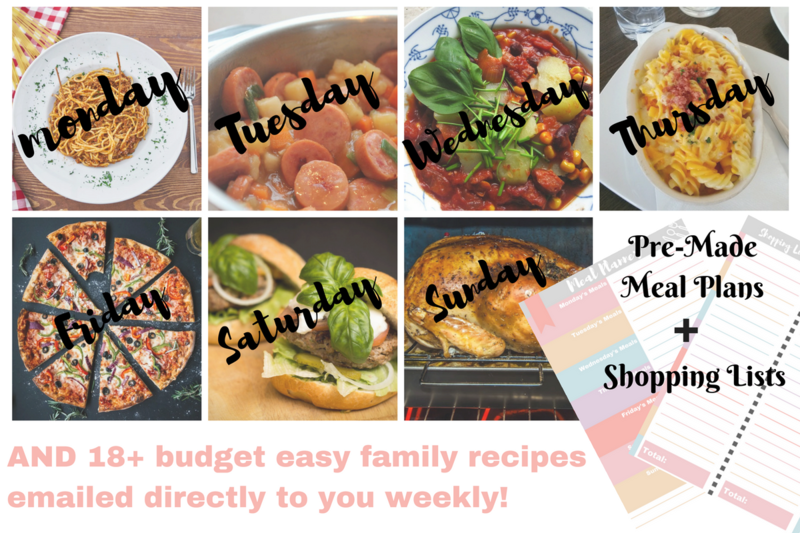 Are you short of time and just want easy family meals you can prep in advance? I’m a busy mother of two young girls, and after a day of running around working, school pick ups, and clubs; just the thought of what we would have for dinner brought me out in a sweat. Then I started meal planning, and it was a game changer. Instead of racking my brain every night, trying to piece together what I could make quickly; I used my meal plan and took the thinking out of it. That was three years ago, and since then I’ve learned how to save hundreds of pounds each month through thoughtful meal planning. I can help you too. No more worrying about spending to much. No more wasting time. “Our biggest challenge is our food budget and how to reduce it! I want to move towards being a thriving single parent." You're struggling to feed your family good food on a budget while trying to pay off debt and save for the future. You feel time-starved and disorganised, and just want someone to send you budget meal plans and shopping lists that you can use to feed your family. You'd love to spend more time with your family, instead of spending hours a week trying to meal plan and then shopping way over budget. We both know that you don't need another 99 Ways to Meal Plan Better on a Budget post. What you need is for someone to simplify matters, and send you exactly what you need, NOW! Staying on budget is important but taking away a pain point, so you can spend more time with your family is key. That’s why I worked so hard to create a send-it and make-it method that works with the ups and downs of a busy family life. Imagine coming home and knowing exactly what you'll make for dinner this evening. Then, what if you actually had all the ingredients at home, ready and waiting for you. What if you felt confident that you knew exactly what to buy to save on groceries. Imagine that feeling at the end of the week when you realise that your family have devoured your tasty meals and you've saved money. Inexpensive ingredients that make food your whole family will love. All emailed to you weekly so you can shop on budget and without fear of brain freeze, when the dreaded "what's for dinner, mum?" question comes up. Stress about what to make for dinner every night! You'll get weekly meal plans, shopping lists and the recipes delivered every Friday morning to your inbox, so you don’t have to worry about going to find the new recipes each week. Save your favorites. All are A4, so you can print them out and bind them. If you own my 52-Week Meal Planner Journal, you can simply add them to keep them all together. Save time shopping with a complete shopping list, specially broken down into aisle, with all the ingredients and room for you to add your own. 21 meals sent every week, including, breakfast, lunch, and dessert. Vegetarian? We can do that — no need to brainstorm substitutions! Just let me know. Save money with budget recipes without having to shop around. Enjoy a variety of food! Each week contains a range of recipes – including chicken, beef and pork recipes, along with the occasional meatless recipe, freezer friendly and slow cooker recipes. And, access to an amazing community of mums who are trying to spend less on their food shop. while making tasty family food. RECEIVE HIGH-LEVEL MEAL PLANS AND SUPPORT… ALL FOR JUST £4.95 PER MONTH! You lock in your price from the moment you join, so you will never pay more. As a mum, I know you work hard and spending your families money can be a worry. I want to make this risk-free for you, so if I can't save you £5 off your grocery bill within the first month, then I'll return your money. There’s never been a better time to get your food budget under control. This resource is here to help you. Now is the time to take action, but only you can do that. ▸ How much does Budget My Meal cost? Budget My Meals is currently priced at £4.95 per month. You lock in your price forever, unless you leave and return. If you decide that Budget My Meals isn’t for you, simply cancel 48 hours before your next billing cycle and I’ll get it taken care of for you. ▸ I've been meal planning for a while, can you really save me money? YES! Whether you've been meal planning for ages or have just started, we can ALL learn from fresh eyes and a supportive community. Let’s help you save more money! ▸ What happens when I sign up? Is anything delivered straight away? Once you join, you’ll receive a confirmation e-mail welcoming you into Budget My Meals. Yes, if you decide Budget My Meals is not right for you, you can cancel anytime before 48 hours of your next billing cycle. Please note that if you are under a special offer rate, and you decide to re-join at a later time, it will be at the current membership rate. There will be no refunds. ▸ Will there be a way for me to ask you questions? Yes! You will have access to my private Facebook group with me to ask questions and get support. Ready to start saving your family money?